Why parts of the content type "manage fields" interface has been moved to "manage form display"
I'm going to close out this overlay in the Drupal 7 side and take us to the homepage on both sides. Let's take a look next at how we manage content types. So in Drupal 8 I'm going to go to structure and then content types. Chances are that you'll click on comment types once or twice accidentally but that just shows you have some good Drupal 7 chops. And then in Drupal 8 I'm going to go to structure and then content types. Here the dropdown button convention is proving really useful. As you can see we have four different operations for each content type, which makes it a little unwieldy, and for new administrators unwelcoming. So let's go through the extending our article content type to include one additional field for location. 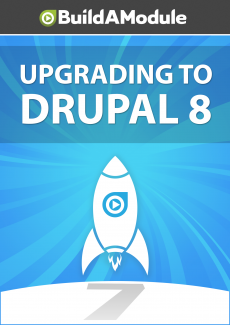 In Drupal 7 you would click manage fields and in Drupal 8 we would do the same.